Rise of the Tomb Raider, Game Director Brian Horton, talked during the recent podcast of Crystal Dynamics, lead by Meagan Marie, revealing some new details. The hubs of Rise of the Tomb Raider are not only three times larger than the previous game, but are also more dense. The other thing is the scope and the breadth of the game – we’ve often talked of our hubs being larger than the last game but we’ve really tried to make them something larger and we’ve talked about them being three times the size. Not only is it larger, it’s more dense. We’ve put a lot more work into the systems of the game, not only to make these hubs larger but to make these hubs even more immersive and interactive. Every single system in our pillar, every aspect of the game, we’ve built on the last. So, yes, we would definitely say it’s the most ambitious game we’ve made. We always set out to make a stand alone story so that if you haven’t played the previous game, you can come in and enjoy the current game a great deal. But we also strive to pay off on fans who follow Lara’s adventures from one to the next. So we strive for continuity and we strive to create a story that people were get even more out of if they played the previous one. So the answer [to the question “Does Rise of the Tomb Raider tie directly to what happened on Yamatai?”] is a little bit yes and no on this – which is, absolutely, it’s a stand alone story but I encourage everyone to play the series and experience Lara’s origin as well as her rise to becoming a Tomb Raider as a holistic story as well. 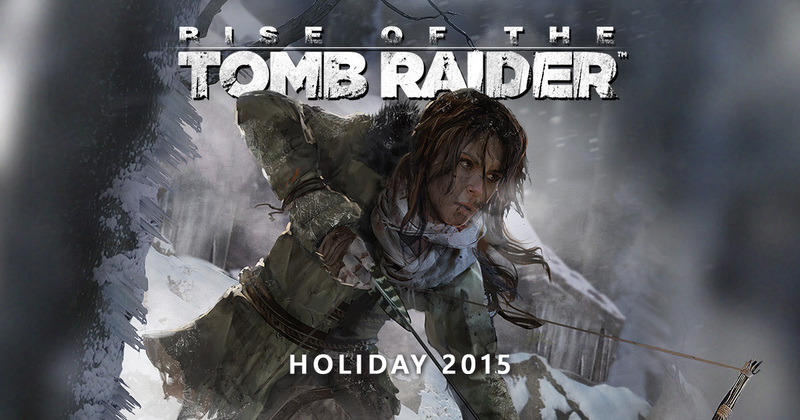 Rise of Tomb Raider is coming on Xbox One and Xbox 360 later this year. We will bring you any new information on Rise of the tomb Raider as soon as it becomes available. You can read more in our previous coverage here and here.